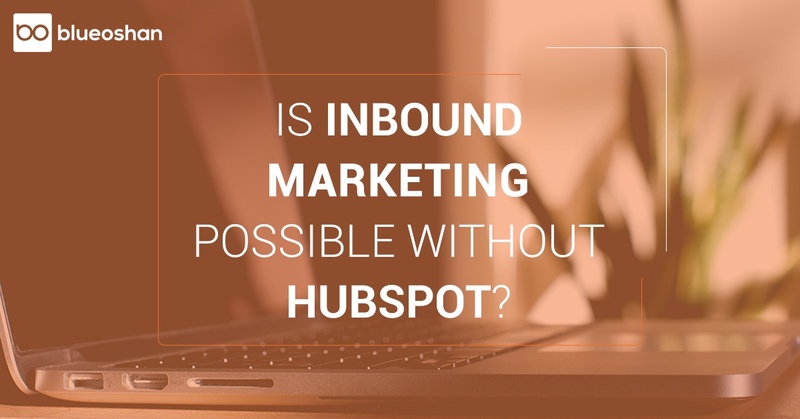 IS INBOUND MARKETING POSSIBLE WITHOUT HUBSPOT? I am going to save you the suspense and tell you that, yes! You can do inbound marketing without HubSpot. It is true that HubSpot is a pioneer in the field and provides an all-in-one platform to meet all your marketing needs. But, if you want to implement inbound marketing by picking tools for specific purposes from different companies, or even save money by putting together and using a few free tools for marketing,it is possible to do so. Let’s break it down: Inbound marketing works on the principle of attract, engage and delight. This means, first you have to build a website, fill it with relevant content and share it to attract visitors; then engage with visitors over multiple channels to convert them into leads; and finally, keep the communication going to keep customers loyal and happy. All of the above can be accomplished using the right mix of tools and software. we can create a proficient Digital Marketing Campaign suited to your business’s precise needs. You will need tools for website building, blogging, social media, SEO and analytics. To build a website and blog you could use tools such as Wordpress, and to create landing pages take a look at Leadpages or Landerapp or Unbounce. When it comes to SEO tools you have options such as MOZ or SEMrush. Say, you want to start an email marketing campaign, make use of Mailchimp or Zoho Campaign, and to manage your brands social media accounts try Hootsuite or Sprout Social. Analytics is an important aspect of marketing. It is used to see how a marketing campaign is doing, as well as gain insight into customers and trends. So it is necessary to have some tools to achieve this. You could use Google Analytics or Google Data Studio or databox (to consolidate data from multiple platforms),as well as a range of analytic tools from multiple companies to meet your data and reporting needs.It would also make sense to have a CRM as a base for it all, to bridge the gap between marketing and sales. You have options here as well, such as Zoho CRM or Salesforce CRM. But, bear in mind that HubSpot CRM is free! You can also stitch a few key tools (from above) together using Zapier to assemble your marketing automation stack-kit. The above are just some of the many options available for you to implement an inbound marketing strategy for your business. Yes, ideally, inbound marketing would work better using a single platform like HubSpot. That way the tools would work seamlessly together, integrations are available and you have everything in one place. But, as we have demonstrated in the post, with some research and trial-and-error you can perform inbound marketing by cobbling together tools, according to your needs. Get in touch with our Inbound Marketing and Automation Consultant to learn more about inbound marketing and how it can be used in your business. How to Convert your Website Visitors Using HubSpot's Pop-up Forms?